Fresh off their time fighting vampires, zombies, and giant creatures in the swamp - Princess Adrienne, Bedelia the Blacksmith, and Sparky the Dragon are in for their biggest adventure yet! Join our team of fearless ladies as they set off into the mountains to save twin princesses Andrea and Antonia. 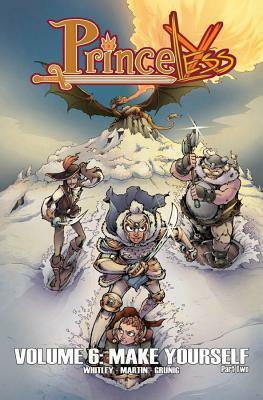 They'll meet a team of dragon slaying dwarf women, a farm full of trained monsters, and perhaps some of their most dangerous foes yet!